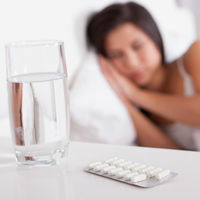 Can prenatal vitamins cause insomnia? Q: I've heard taking prenatal vitamins at night can cause insomnia. Is that true? A: Nope, says Mary Jane Minkin, M.D., an OB-GYN in New Haven, Conn. Despite rumors you may have read on mom-to-be message boards, it's highly unlikely that your prenatals are costing you those precious zzz's. Most formulations include some B vitamins, which contribute to overall energy, but they shouldn't affect your sleep. Still, Minkin recommends her patients try taking their vitamins at different hours of the day to see how they feel. "Experimenting allows you to understand how your body responds, so you can avoid discomfort," she says.